Home | David Carnac & Co.
At David Carnac & Co, we provide a bespoke service to our clients for their mortgage and financial planning needs. We can arrange an informal initial consultation without obligation at either your home or, if more convenient, at a central London location. We are independent mortgage advisers who act on your behalf to ensure you obtain the best solution for your individual mortgage requirements. From a range of market leading insurers we also provide advice and complete all the necessary arrangements to make sure your home and family are adequately protected. We can also, through our network of business partners, assist with all aspects of financial planning. Choosing a mortgage is likely to be the biggest financial decision you’ll ever make and with thousands of options to choose from, the process can seem overwhelming. Here at David Carnac & Co, we have over thirty years’ experience helping our clients through an ever-changing market. We have direct access to schemes that aren't available to the general public and can therefore find a solution to best meet your needs that you’re unlikely to find on the high street. And of course, unlike a comparison website, we provide you with full advice and a recommendation tailored to your exact requirements. Whether you are a first-time buyer, moving or wish to re-mortgage, we will recommend the most appropriate product to suit your needs after a thorough, in-depth analysis of your requirements. Arranging your mortgage is potentially the largest financial transaction of your life and, therefore, every enquiry is treated with the respect that it deserves. If this sounds like a bold statement to make, take a look at the testimonials from some of our satisfied clients. At David Carnac & Co, we have been successfully arranging mortgages for our many Musician clients for over thirty years. We have access to schemes that aren’t available directly and over thirty years’ experience helping our clients through an ever-changing market. To find out more about the services we offer, simply get in touch for a no-obligation chat about how we can help you. We have had a number of mortgages over the years but I have to say, the whole process this time was the easiest and most stress-free ever. David handled all the form filling, answered any questions and even sorted out new home insurance when my existing policy wasn’t suitable. Highly recommended. At the beginning of last year (2013) we had all but given up hope of moving to a house from a maisonette. We spoke to David about re-mortgaging our flat but he wanted to explore our preferred option of moving and we were amazed at how straightforward it could be and on David's advice and within 6 months, we had sold our flat and bought our house. David's care and attention to detail was excellent and this guided us through the whole process easily. Thank you! As a first time buyer hoping to buy my own flat I didn't know what I was doing when it came to finding a mortgage, or whether, as a freelance musician, I could even get one. I had a free, no-obligation meeting with David Carnac where he ran me through all my options and made everything seem much clearer and easier. He then found me a fantastic mortgage at a rate I could easily afford, and arranged everything for me quickly and efficiently, and at a very competitive rate. I have readily recommended him to friends and colleagues, and I will certainly use his services in future. Couldn't be happier...efficiency..experience..exceptional.. Would be delighted to recommend to any of those in need of this service...SUPERB! We have worked with David Carnac for over 10 years, mostly to do with buying properties to rent. He can often come to our house to discuss matters and is easy to communicate with and very professional. He really understands the market and can explain it in 'laywoman's' terms, at the end of the day finding us the cheapest mortgage at the current time. I would always recommend him. 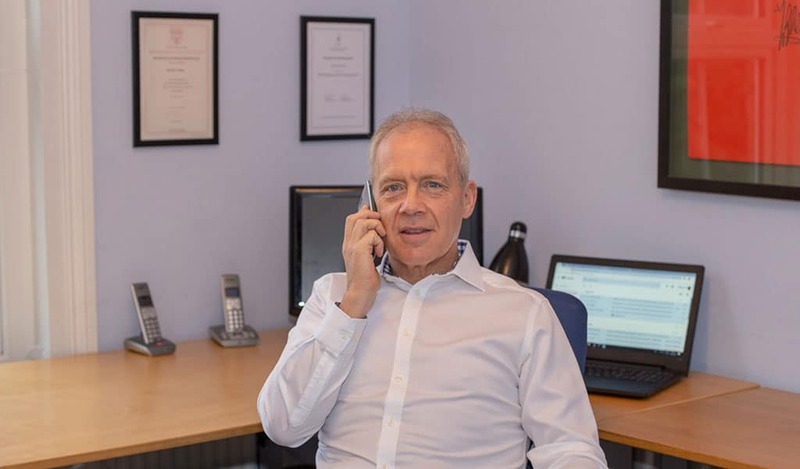 David has always been extremely helpful to me in arranging my mortgages, none of which have been particularly straightforward for various reasons. He has been diligent and patient and has worked with me until we have found positive outcomes. He is always cheerful and friendly and I very much enjoy working with him. I would highly recommend his services! David Carnac & Co were quite simply essential in securing our mortgage! With self-employed and employed earnings combined, our income was complex and unpredictable. David and his team made our application easy and with their thorough diligence and knowledge of the market, came up with a mortgage offer that would have been hard to beat for any broker! David helped us over the bumpy road to home ownership nearly two years ago. He presented all options clearly (many of which would not have been open to us without a broker) and ultimately found us a great five year fix. One of us is a self-employed musician, and David understood our specific concerns in this respect completely. From the beginning of the process it was a great comfort to know that somebody who really cared had our backs on the financial side, even when things on the house hunting side were crumbling (in one case literally). From the first phone call with David he instantly understood the level of support I needed to buy my first property, and provided it from beginning to completion. I cannot recommend him highly enough for this excellent service and the high level of care, efficiency and attention he gives, and all with such good humour. This is no ordinary mortgage broker! Thanks, David! When the time came to remortgage, David came very highly recommended. He has taken all the stress out of finding a suitable mortgage as well as insurance policies for us and has always done this in a way that even I can understand all the financial jargon. David is always on hand to offer honest advice and we will be happy to recommend him to any of our friends. David Carnac was recommended to us and we in turn are very happy to recommend him. What looked impossible via high street banks due to one of us being a musician – circumstances David is very aware of - he was able to set us with an affordable mortgage as first time buyers and was always on hand to answer any questions. I was fully expecting buying my first property to be a terrifying experience as the whole process baffled me but most of all finding, and indeed securing, an appropriate mortgage. From our very first meeting, David gave me useful and honest information and advice, helping me to feel confident of what I was about to undertake. He was always available to answer questions, provide valuable support and he constantly kept me updated and informed, working professionally and efficiently. I would highly recommend him to anyone. Without David's help we would not have been able to buy the house we were looking for, he was extremely knowledgeable, helpful and sticks with you every step of the way. We couldn't recommend him enough! We can definitely say that David has certainly gone the extra mile in getting us a mortgage. Our case was tricky, but fortunately for us, David was prepared to put in the extra work required every step of the way until completion. We are very grateful of David's expertise and are quite sure we may not have a mortgage if we had David Carnac & Co hadn't been our advisers. David Carnac took a lot of the stress and worry out of arranging the right mortgage. I had a mortgage offer in principle within a few hours. Since then David has become a friend and someone I trust implicitly when it comes to finance. I have no hesitation in recommending him. Buying a house for the first time is incredibly daunting, however, David was always on hand to clearly explain the whole process and his role. All available options were clearly described and I could not have asked for a better service. As a freelance artist, I was always worried whether I had enough gravitas and financial clout to make it through a mortgage application. David allayed all my fears and made the process entirely painless in helping me secure a manageable mortgage for much more money than I’d hoped. We were dreading entering the vast and scary unknown of the house-buying/mortgage world, with its intimidating jargon and confusing figures. Luckily, David was recommended to us through the musicians' network at just the right time, and so the old cliché goes, the rest is history. We met soon after our initial call at our convenience, and felt instantly so much more at ease with the whole process ahead of us, as everything was explained to us in a language we could understand. Knowing as little as we did, we were never made to feel stupid, and every question we asked was met with a comprehensible and honest answer. David has 'held our hands' throughout the whole process, has been giving of both his time and good advice, eliminating the 'scare factor' that we both felt in the beginning. He has since become a friend and we would, and already have recommended him to colleagues. We would have no hesitation in recommending David's services to colleagues and friends and regularly do so. He is organised, honest, efficient, and importantly, understands the difficulties that can be faced by self-employed classical musicians when purchasing a home. We expect to go to David in the future and would urge others to do so. I was introduced to David by a family member, when I entered the process of purchasing a new home. David has been helpful all the way, from our first meeting and even meeting me at my own property, which helped lessen the chaos when going through the process of purchasing a new house. He explained every thing to me in an experienced way that I understand, considering I am not very financially minded. We found his pricing and customer service to be excellent. Without thinking twice I am happy to keep using David for any finance advice or insurance etc issues in the future. He has also referred me to other service providers (for services he does not offer) and even the associates that he works with have proved to be just as professional and friendly. Good man to know and I definitely recommend him to people who want honest peace of mind. We have used David Carnac & Co for mortgage advice since 2013 and they have successfully found products to suit our requirements. David is incredibly efficient and has helped us to navigate through the complicated process of mortgage application on several occasions. Thank you, keep up the good work! As a self-employed Musician with only a couple of year’s accounts I expected to have difficulties finding a mortgage. David made this incredibly easy with his professional and friendly approach. I was able to borrow the amount I needed with very little aggravation all thanks to David. Given our position as freelancers and foreign nationals, we had almost given up hope in finding a mortgage to buy the flat we had fallen in love with and were just about to give up our dream. David was recommended to us by some musician friends and somehow managed to find us a mortgage within days from us contacting him for the first time. Having been a musician himself, he totally understood our position and we immediately felt he was actually listening to us and understood our position completely. Not only did he take away the stress of finding the right mortgage for our needs, he has exceed our expectations in finding us a product that has proved an incredible bargain. We have been recommending him to all our friends, musicians or not and we are sure they will be as happy as we are to have met David! When I wanted to review our mortgage, David’s name was mentioned by several of my colleagues as the person to see. We had an initial meeting during which he got a really good insight as to what we wanted . Then, when we wanted implement his recommendations , both he and his assistant ensured that the remortgage happened without any delay and with an interest rate that I didn't think would have been possible. David has helped us secure both our first and second homes. On each occasion, David has readily contended with the often complicated finances associated with our careers as musicians, simplifying the mysterious world of mortgages and keeping us informed at every stage of the application process. In both cases we have been surprised by the ease with which we have secured our mortgage and the speed at which David works to push things through. 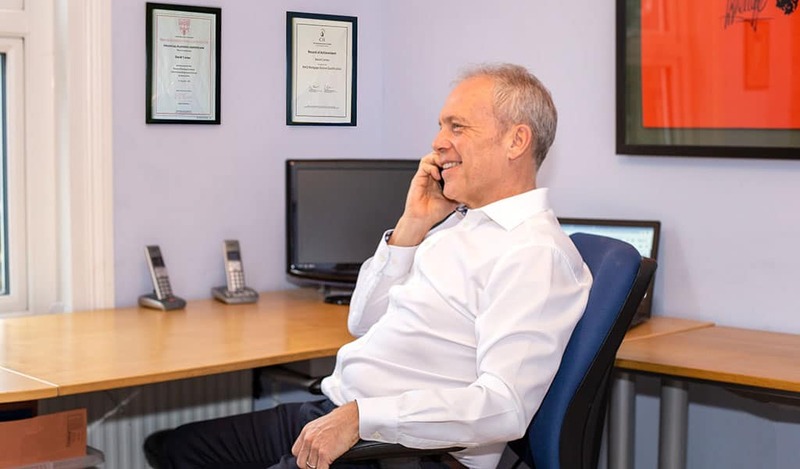 David’s approach is one that tailors itself to his client’s personal and professional circumstances meaning that he is able to advocate on their behalf with a real feel for their financial commitments and borrowing potential. For future mortgage advice and brokerage we wouldn’t consider going to anyone else! Very helpful service, suggested mortgage solutions that I hadn't previously considered and which proved highly appropriate to my current situation. I have known David for many years and knew I could trust his advice implicitly. David is one of those seemingly rare financial advisers who live in the real world. As such he was not only able to arrange my remortgage with a great and realistic deal, but offered, and continues to offer clear and straightforward advice on a number of financial matters. I have no hesitation is recommending him. 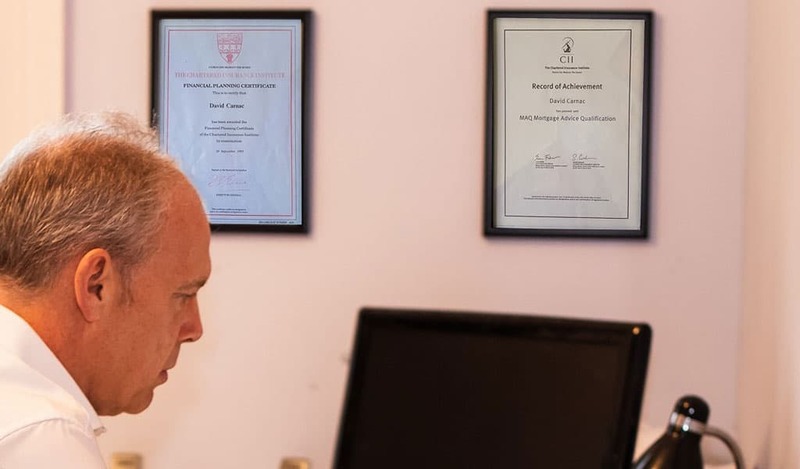 David Carnac & Co is a trading style of David Carnac Financial Services Ltd. David Carnac Financial Services Ltd is an appointed representative of PRIMIS Mortgage Network. PRIMIS Mortgage Network is a trading style of Personal Touch Financial Services Ltd which is authorised and regulated by the Financial Conduct Authority. We normally charge a fee for mortgage advice. However, this will be dependent on your circumstances. Our typical fee is £595. Your home may be repossessed if you do not keep up repayments on your mortgage.